Make moviegoing even easier! 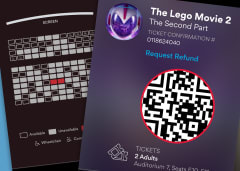 Get tickets, track rewards, skip theatre lines, see what’s playing, set reminders and more, all with the AMC Theatres App! 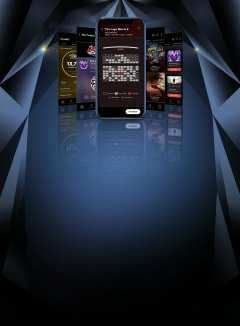 Movie magic is at your fingertips with our redesigned app! 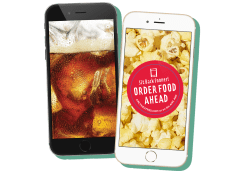 Find your nearest theatre, track your AMC Stubs rewards, set reminders for upcoming films—even skip the lines when you use the app to pre-order tickets. In select locations, you can also pre-order food AND beverages! 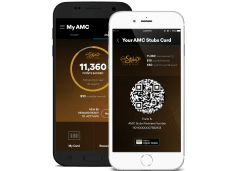 Whether you're an AMC Stubs Insider or Premiere member, the AMC Theatres app allows you to access your digital card and account details with epic ease! View your points and available rewards, or activate a reward using the app. 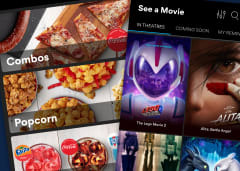 Download the AMC Theatres app today to get all the info on upcoming movies, purchase and view digital tickets and receive exclusive promotions through your AMC Stubs account. 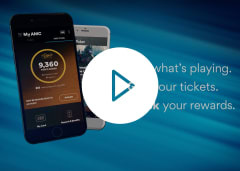 Get ahead of the crowd and into the theatre faster when you buy digital tickets with the AMC Theatres app. Get your tickets and pre-order your concessions online! Get to your movie faster when you use this app to pre-order everything you need to enjoy AMC! To get access to these perks and more, visit the App Store or Google Play and download the AMC Theatres app today.